Belts are more than just a necessary clothing item. According to Over Under Clothing, an online American clothing company that specializes in making and selling men’s garments and accessories, belts can also make a fashion statement that enhances your outfit. Moreover, a high-quality leather option will remain stylish and functional for many years to come. Casual & Traditional Options: Depending on your personal style, you may want a more traditional leather belt instead of a relaxed style or vice versa. Either way, Over Under Clothing has you covered. Whether you choose something like their dressy American Heritage Bison Belt or their simple ribbon style Patriot Belt, you will have the perfect accessory for your slacks, jeans, or casual work pants. High-Quality Materials: All of the items at Over Under Clothing are 100% American made, including both the materials and the manufacturing. This apparel shop uses only the highest quality goods available to create their clothing and men’s accessories. Their belts are no exception. Made of 100% genuine polished leather, brass hardware, and expert stitching, their selections are meant to look good and withstand the test of time. 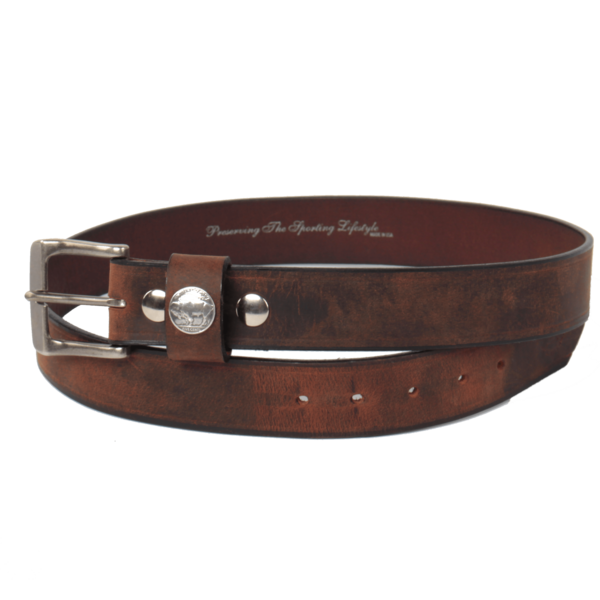 Customizable: If you want to add a personal touch to your new leather belt, you have the option of adding a custom engraved brass nameplate to some items. Add the initials of your choice to create a belt detail that’s unique to you. As a top American clothing store, Over Under Clothing has something for everyone. Whether you’re looking for men’s belts, outerwear, dog collars, or stylish garments, you can find impeccable, well-crafted, and durable items that are made in America. They also offer convenient online shopping, so you don’t have to leave your home to find the perfect apparel and accessories. Visit their website for a full list of their available items, or call (904) 619-0577 for more information.